Welcome to Practice Treatment Plan’s Weekly New Patient Marketing Tips! Today’s tip is part three of a 5 part series in October all about Google Reviews. Here is a quick preview of what is coming up. For more information please call 888.412.8820 or email me at ben@practicetreatmentplan.com. Last week we gave you three effective ways to encourage your patients to review your practice on your Google+ Business page. This week we are going to share three more ways to do this. As we discussed last week, Google does not condone soliciting reviews and they will remove reviews that come from the same IP address over a short period of time. However, the truth is, patients who love your practice need more encouragement to review you than patients who are not so in love with your practice. It’s a dog eat dog world out there and in the end he who wins has more reviews! On that note, here are three more SUPER EFFECTIVE ways to encourage patient reviews! Method #4. Create collateral encouraging patients to review you on google. Post a sign in the patient check-out area (and the operatories) that encourages patients to give you a review on Google. The most effective way to do this is to start with a question like “Did you enjoy your visit to ABC Dental today? If so, why not let others know by reviewing us on Google? Google Reviews will help us grow our practice so that we can deliver the same high level of service to others”. This is most effective if you can get the patient to review from their own mobile phone before they even leave! Be sure to give specific instructions on how to do this and make sure your team can walk the patient through the process. Make sure that the patient is not connected to your WIFI, otherwise the reviews will appear to be coming from your practice. You can also turn that sign into 4×6 postcards that you can give to patients to take with them to remind them to post a review at a later time. Incentive optional. If you would like help in creating this sign just send us an email to ben@practicetreatmentplan.com! We have a special going where we will design the sign and the postcard for only $199! Method #5. Post a link on your website. Post a link on your website that will take patients directly to your Google+ Business page. You can even create a graphic that specifically says “Review us on Google Business.” Create a page on your website with a unique URL (www.abcdental.com/google) that has the specific instructions for both desktop and mobile phones. Make the process as easy as possible! Method #6. Leverage an internal recall system. There are several options for automated recall systems out there (SolutionReach, Lighthouse 360, RevenueWell) that will survey your patients after their appointment and then encourage those who gave positive reviews to then review you on Google+. The only challenge with this method is that you are essentially asking the patient to take the time to review you twice. Most of these platforms also have an internal email system so that you can blast emails to your patients. In our experience, our clients who have these systems rarely use them. You could easily blast an email to patients asking for them to review you on Google. We recently had a client that hired us to revamp their online presence. One of the first things we noticed in reviewing their current presence was that they had some negative Google Reviews (4 reviews with an average star rating of 2 stars!). We knew that this was not representative of how patients really felt about this dentist’s work, so we sprung into action using a few of the methods above. We were able to add 18 positive 5 star reviews within a few months. In that same time span, the number of new patients that the practice got from their online presence TRIPLED. As always, thank you for reading Practice Treatment Plan’s Weekly New Patient Marketing Tips! Next week we will talk about how to handle the dreaded “bad review”. Like they say, there is no such thing as bad press! Welcome to Practice Treatment Plan’s Weekly New Patient Marketing Tips! Today’s tip is part two of a 5 part series in October all about Google Reviews. Here is a quick preview of what is coming up. For more information please call 888.412.8820 or email me at ben@practicetreatmentplan.com. Oct 29th What about other review sites? 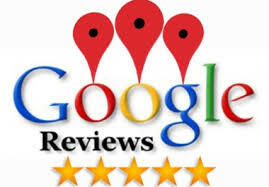 Google reviews are imperative to the success of your practice! Welcome to Practice Treatment Plan’s Weekly New Patient Marketing Tips! Today’s tip is part one of a 5 part series in October all about Google Reviews. Here is a quick preview of what is coming up. Oct 29th…..What about other review sites? Google Reviews are housed on free Google+ Business pages. It is imperative to the success of your dental practice that you create one of these pages and get your patients to post reviews of your practice right there. The only way to get reviews on your Google+ Business page is to get patients to go there and give you a review via their own personal Google accounts. Google is still the king of search engines, processing 70% of all internet searches. It is the most important place that you want to be found! As of 2015, there are more searches done on mobile phones than there are on desktop computers. When someone searches on a mobile phone, the Google Map is one of the first thing they will see. The more reviews you have, the more likely you will be one of the first practices on the map! Google reviews are considered “certified”, so potential new patients will be more likely to trust those reviews than the ones that they see on your website. Having more positive reviews can positively affect your search engine position. Google lists the number of reviews and your star rating right under your organic search engine results. The more reviews you have, the more likely potential new patients will choose to click on your link. It’s easy (and FREE) to set up a Google+ Business Page for your practice! The market for new patients is incredibly competitive. If you are not using the free tools that Google has made available, you are missing out on innumerable opportunities. Setting up your Google+ Business page is easy (https://www.google.com/business) and can be completed in just a few steps! Got questions? We have answers! Email me at ben@practicetreatmentplan.com. Next week we will discuss ways to encourage your patients to post reviews to your Google+ Business page!